If you’ve been checking out the new Chevy lineup and thinking about taking a test-drive, there’s no better time to do so than right now at Chevrolet of Naperville. For the entire month of April, we’ll be giving $20 to the Turning Pointe Autism Foundation for each test-drive taken at our dealership. Raise money for children, individuals, and families impacted by autism while seeing which new Chevy is the right fit for you! As a member of the Dan Wolfe Auto Group, Chevrolet of Naperville is proud to be taking part in this event to raise money for Turning Pointe Autism Foundation. As parents of a child with autism, Mr. Wolf’s son and daughter-in-law helped start Turning Pointe Autism Foundation as a way to bring awareness and support for this condition. The mission of Turning Pointe Autism Foundation is to offer a wide range of different services for the family members of individuals with autism. In order to do this, they have brought together a team of organizations and professionals in order to provide recreational activities, educational support, home support, and more. Over the years, Turning Pointe Autism Foundation has brought about the creation of CN Day School and the Turning Pointe Career College, and they look forward to building new opportunities for individuals with autism and their families in the years to come. We hope you’ll have time to come in during the month of April and check out the new Chevy lineup while also helping to raise money for Turning Pointe Autism Foundation. 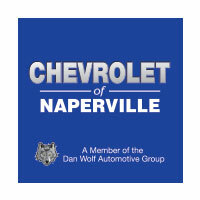 Chevrolet of Naperville is located at 1515 W. Ogden Avenue in Naperville, IL, and we’re open from 9:00 a.m. – 9:00 p.m. Monday through Friday and until 6:00 p.m. on Saturday. Contact our staff for more information at (855) 410-3413.